Thanks to Australia’s busy tourism industry, hotels, resorts and other entertainment facilities have been a prominent feature for many decades. Yet this very longevity calls for significant ongoing building maintenance requirements. R&BS are well equipped to meet your resort or hotel’s unique needs for maintenance and building work, from external building rehabilitation to reliable roof repair. We understand your need to keep downtime to a minimum, while ensuring your guests can continue to enjoy their stay while any building maintenance work is performed. In our decades of operation since 1928, R&BS have provided outstanding services for some of Australia’s finest hotels and resorts – many of which have become repeat customers. This strong track record has given us a thorough knowledge of what you expect from repairs and maintenance of your hotel or resort buildings. 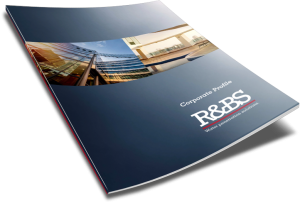 Whether you already have a firm idea of what you need, or you’re looking for our professional advice, R&BS works closely with you to ensure we meet your needs; efficiently and expertly. From one-off repairs for your hotel or resort’s roof, to much larger building rehabilitation projects, R&BS have the expertise you need. We provide a wide range of services, including structural masonry repair, concrete restoration, waterproofing and provision of barrier coating systems. We begin your project by thoroughly investigating what repair work your resort or hotel requires, before scheduling the work that needs to be done around your operational needs. Naturally, during this process we take into account your budgetary requirements while ensuring your hotel can stay up and running while necessary maintenance works are completed. For a customised proposal for your tourism business, call R&BS now on 1800 550 037 or fill out the contact form below for a fast response.